After delivering numerous chartbusting albums for several top stars and medium budget films, talented music composer SS Thaman is now all set to enthrall Bollywood. The composer has been roped in for Bollywood’s superstar Salman Khan’s ‘Kick 2’. 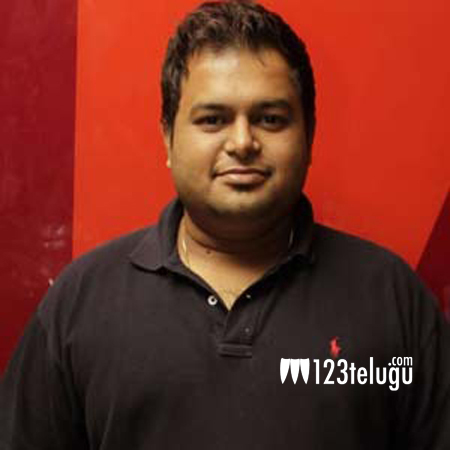 Thaman will be starting the music sittings with the film’s core crew very soon. Naturally delighted with his latest achievement, Thaman said that he is very excited to compose for Salman’s film. Interestingly, Thaman is also composing the tunes for the Telugu version of ‘Kick 2’ starring Ravi Teja. Thaman is currently busy with a handful of high profile films like Ram Charan-Sreenu Vaitla, Akhil’s debut, ‘Pandaga Chesko’ and a special song in Suriya’s ‘Masss’.